ACI has teamed up with Saint Peter's University Hospital, Community Mobile Health Program to conduct free blood pressure and blood sugar screenings as part of our series of health and wellness workshops. Fasting is not required for this screening. ACI has partnered with St. Peter's University Hospital's Community Mobile Health Services to offer free flu shots! Staff from St. Peter's will be on hand to give out information. NOTE: Please bring your health insurance card. Making a smoothie is a great way to stay cool in the summer while eating your fruits and veggies. Join us on Friday, July 27th from 1:30 to 3:00 PM as we learn how to make smoothies, sample different flavor combinations, and create our own recipes! NOTE: Registration is currently full. Please fill out the form below to be added to the waiting list. The Survival Guide to Healthy Relationships is a free workshop that focuses on the different types of relationships that people will experience in their lives. JourneyDance moves us through deep, personal exploration into a loving, intimate relationship with body, mind, and source energy. This sensual and exhilarating union of dance, visualization, and ritual calls us to get funky and divine! We are carried through an intentional and seamless flow of simple movement sequences and free expression. We are led with exuberance and compassion to a place of authentic communication with our creative spirit, where we discover our hearts’ desires. We embody our physical temple. We explore our inner realms. We connect with our inner shaman creator to burn the mind’s clogging clutter and make space for the abundance of joy that is available to us. As we create this powerful ritual together-in community-we liberate old cellular memories, cleanse the body and mind with sweat and breath, and elevate our vibration. Joy Lynn Okoye is an experimental movement artist, JourneyDance Facilitator, Integral Yoga Teacher, and Transformational Wellness Coach. She is the creator of Body+Mind+Soul Wellness Coaching programs and workshops which use JourneyDance, creative arts, dramatic arts, and coaching techniques to bring forth a powerful environment for self-healing work. Her current artistic project, Lumina (The Beauty Wound Project), is an interactive and partially improvisational dance performance project that was inspired by JourneyDance and celebrates the diverse beauty of women’s bodies in soulful expression (and the stories that go along with them). ACI is proud to partner with the American Public Health Association (APHA) for National Public Health Week! During the first week of April each year, APHA brings together communities across the United States to observe National Public Health Week to recognize the contributions of public health and highlight issues that are important to improving our nation. Join us while we promote National Public Health Week by carrying signs and walking & rolling for our health! We will be meeting at the ACI office located at 629 Amboy Ave, Edison, NJ 08837. Want to help make signs? Meet us at the ACI office on March 22nd from 11:00 AM to 12:30 PM. Pizza included! ACI and drum facilitator, John Toth, will be playing drumming games and drumming to music! This is a great way to reduce stress, improve your overall attitude, and have some fun! Bring your own drum or share ours! Registration deadline is March 19th. 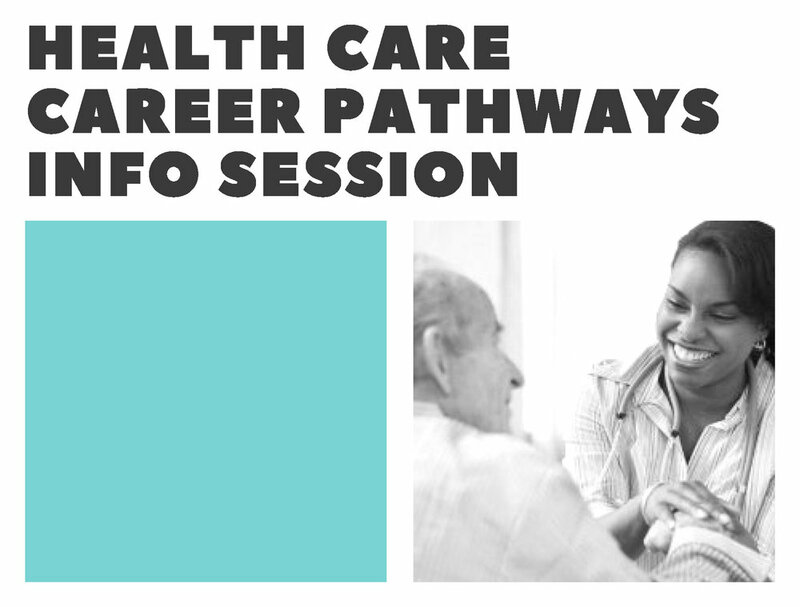 Learn about various occupations in health care and how to jump start your training today! Apprenticeship opportunities available to earn while you learn. Nutrition labels...what does all that information mean anyway? Eating healthy? I'm not a fan of cooking, so how can I make more nutritious food choices? Having some basic tools and information to help you make healthy choices and knowing how to prevent illness is a key part of staying well. Join us for some helpful tips on nutrition, meal planning, grocery shopping, making healthy substitutions, portion sizes and more. Presented by Colleen Roche of the NJ Division of Disability Services. This workshop is intended for people with disabilities who may be living on their own for the first time and/or those who may not feel comfortable in the kitchen or grocery store. Presented by ACI in conjunction with #NOZika and NJID. Join us for an informative workshop on how you can protect yourself and others from Zika! Get your hearing checked with a free auditory screening conducted by St. Peter's University Hospital's Community Mobile Health Program. Featuring a presentation by ClearCaptions, manufacturers of communication equipment for individuals with hearing loss. Free caption phones will be distributed to those with hearing impairments who have trouble using conventional phones. Have you gotten your eyes checked lately? On Thursday, April 13th, the Alliance Center for Independence will host free vision screenings conducted by the Student Sight Savers program from the New Jersey Medical School at Rutgers. What we do: We provide retinal screenings for visually threatening diseases in the community at local health fairs, conventions, etc. What we can detect: We are able to detect early signs of pathology including, but not limited to: glaucoma, cataracts, retinal changed associated with diabetes. We also take measurements of visual acuity, intraocular pressure, and refraction to assess general visual parameters. WEAR SUNGLASSES: According to the American Academy of Ophthalmology, sunglasses should be worn at all times when outdoors especially during the summer, at the beach, when playing winter sports at high altitudes, and any medications that can cause light sensitivity. NUTRITION: high levels of cholesterol and blood pressure can result in damage to blood vessels in the eye resulting in the development of possible conditions such as glaucoma, macular edema that can compromise vision. A healthy lifestyle starts NOW! Come join us to hear the tips and tricks you need to customize your exercise and nutrition. Disability Health & Wellness Program Assistant, Gianna Marchesi, will be coming to ACI for a presentation on health and fitness for people with disabilities. Free healthy snacks and guides for all participants! Are you protected from the sun? ACI has partnered with St. Peter's University Hospital's Community Mobile Health Services to offer free sun damage screenings! Staff from St. Peter's will be on hand to give out information and advise on how to protect your skin during the summer months. The DermaScan is an instrument that magnifies the image of your face using a black light. The black light will highlight the harmful effects of overexposure (sun damage) from the sun’s UV rays. The registered nurse will alert you to the areas of the face that are oily, dry or sun damaged. We will discuss and provide literature on the sun’s damaging rays and the importance of wearing sun screen. This is not a skin cancer screening. ACI's Men's Peer Support Group will be sponsoring a presentation on Men's Health, presented by MaryAnn Kokidis and Stephanie Rodriquez, Health Educators at Amerigroup Health Insurance. The workshop will cover: the importance of nutrition and physical activity as well as other behaviors that can improve health and reduce the risk of chronic disease and different forms of cancer (smoking cessation, colorectal screening, prostate screening, and annual well visits).